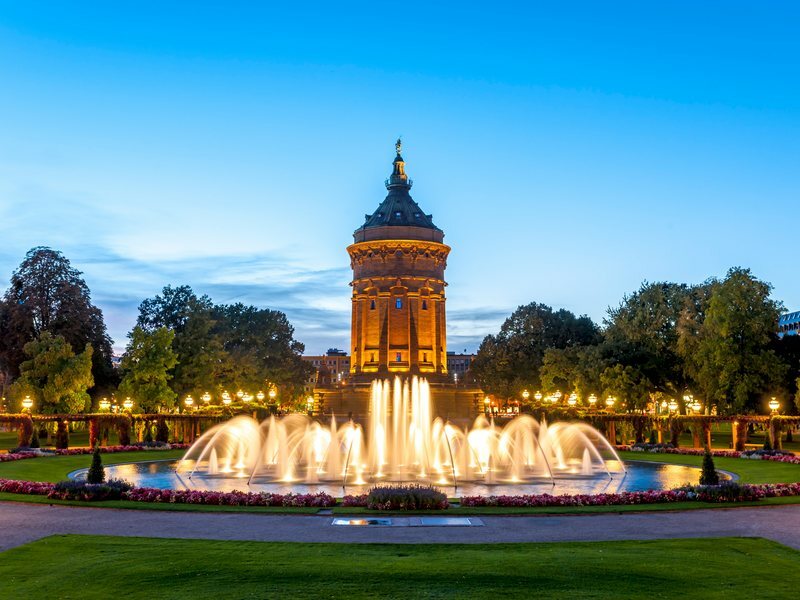 Mannheim is situated in the state of Baden-Württemberg and is home to almost 300,000 people. The city is located where the Neckar and Rhine converge in the northwest of the state. The city is also known as the ‘Quadratestadt’ (city of squares) as the city centre is laid out in a grid pattern. It is both a student and an industrial city, home to many large companies including Daimler, John Deere, IBM and Siemens. The Mannheim SAP Arena is the home of Germany’s ice hockey champions – the Adler Mannheim. The city has been a part of the UNESCO Creative Cities Network since 2014 and holds the title of “UNESCO City of Music.” In addition to this, Forbes magazine ranked Mannheim as the 11th most inventive city worldwide! Luisenpark – The Luisenpark was built between 1892 and 1903 and was named after princess Luise Marie Elizabeth of Prussia. The park provides visitors with a variety of different activities, including a lake with Gondolettas – a tow boat ride where boats appear to be free floating, but are actually guided by an underwater rope – following a course of almost 2km. The park is also home to an open-air stage hosting a variety of concerts, musicals, operas and plays. Furthermore, the park contains a Chinese garden, complete with a Chinese tea house, all built in cooperation with Mannheim’s twin city Zhenjiang, the Klaus Tschira charitable trust in Heidelberg and the East Asia Institute Ludwigshafen. In addition to this, the park is home to a large greenhouse containing a palm house, butterfly house, bird exhibit and fresh and saltwater aquariums. 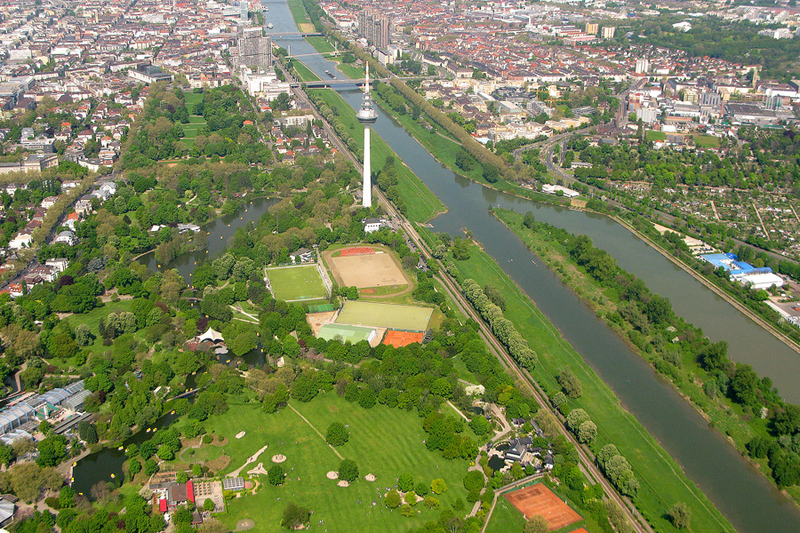 Finally, towering 205 metres above the park is the city’s telecommunication tower (Fernmeldeturm), including a viewing platform and rotating restaurant at 125 metres above ground, giving visitors a view of the entire city. Barockschloss – The Baroque Palace in Mannheim was built in the 1700s and was originally the main residence of the electors of the Electorate of the Palatinate of the House of Wittelsbach. Nowadays it is home to the University of Mannheim – although the university has many buildings throughout the city, the palace is the central building containing most offices, libraries, cafes, the university shop and many large lecture halls and tutorial rooms. The palace offers visitors guided tours through the university, the main salon and museum. The front of the palace is often used for open-air concerts, such as the recent Xavier Naidoo & Söhne Mannheims concert, and the palace’s inner courtyard is used on a weekly basis for large student parties. Wasserturm (water tower) – The Mannheimer Wasserturm was completed in 1889 and, along with the Schloss, is a famous symbol of Mannheim. It stands on the Friedrichsplatz surrounded by a rose garden and is the location of Mannheim’s annual Christmas Market. Visitors can enjoy the beautiful sight and, in warmer months, sit in the gardens having a picnic. During spring and summer the flowers surrounding the water tower are in full bloom and there is a fountain which changes pattern and colour throughout the night. Spaghetti Eis (see Wednesday’s blog for more info) was invented at Café Fontanella – this café is still there today!